The global sourcing industry posted healthy numbers for Q4 2018, marked by an 8 percent increase in outsourcing transactions and a 13 percent increase in Global In-house Center (GIC) setups and expansions over the previous quarter, according to Everest Group. Digital services continued to dominate the outsourcing activity in Q4, with 74 percent of all outsourcing transactions comprising digital-focused services as compared to 26 percent of transactions focused on pure traditional services. Cloud services were included in 44 percent of all digital-focused transactions for the year. The majority (55 percent) of offshore and nearshore service delivery centers set up in Q4 were focused on digital services. Fifty-six percent of new centers established in Q4 supported automation and 33 percent included analytics services. GICs were increasingly leveraged for digital services in Q4, with 59 percent of GIC setups and expansions including digital services in their scope. Automation continued to account for the maximum share (63 percent) of the total digital-based GIC setups during Q4, reflecting the significant degree to which enterprises are seeking to leverage automation to improve efficiency, deliver business value and reduce cost beyond traditional means. Everest Group discusses these and other fourth-quarter developments in its recently released Market Vista™: Q1 2019 report. The quarterly report highlights the trends in the fast-evolving global sourcing market, exploring the key developments across outsourcing transactions and Global In-house Centers (GICs), as well as location risks and opportunities, and service provider developments. Themes such as design, customer experience, automation and cloud were prominent in Q4 2018. The uptick in outsourcing activity was led by the Banking, Financial Services and Insurance (BFSI) sector. Q4 saw substantial growth in adoption of GICs by small enterprises, with a particular focus on specific services rather than multi-functional centers. The Asia Pacific region witnessed a significant rise in research and development (R&D) GIC setups by manufacturing enterprises, demonstrating a preference to insource next-generation engineering services. To build niche capabilities, service providers focused on the acquisition of startups as opposed to partnerships. As many as 70 percent of acquisitions in Q4 were startups compared to 50 percent in Q3. Key location risk/opportunity trends identified for Q4 2018 include South Africa announcing a new GBS incentive scheme to improve the country’s value proposition; Lithuania attracting a multitude of players looking to innovate and deliver FinTech services, increasing competition from service providers for engineering services sourcing, and significant investment from the Canadian government, likely to boost attractiveness of British Columbia for digital services delivery. Download a complimentary 16-page abstract of the report findings here. In the recent webinar, “The 5 Most Important Global Services Trends for 2019,” Everest Group experts shared the context for many of the highlights of the Market Vista™: Q1 2019 report as well other key market trends. Watch the replay or download the webinar deck here. 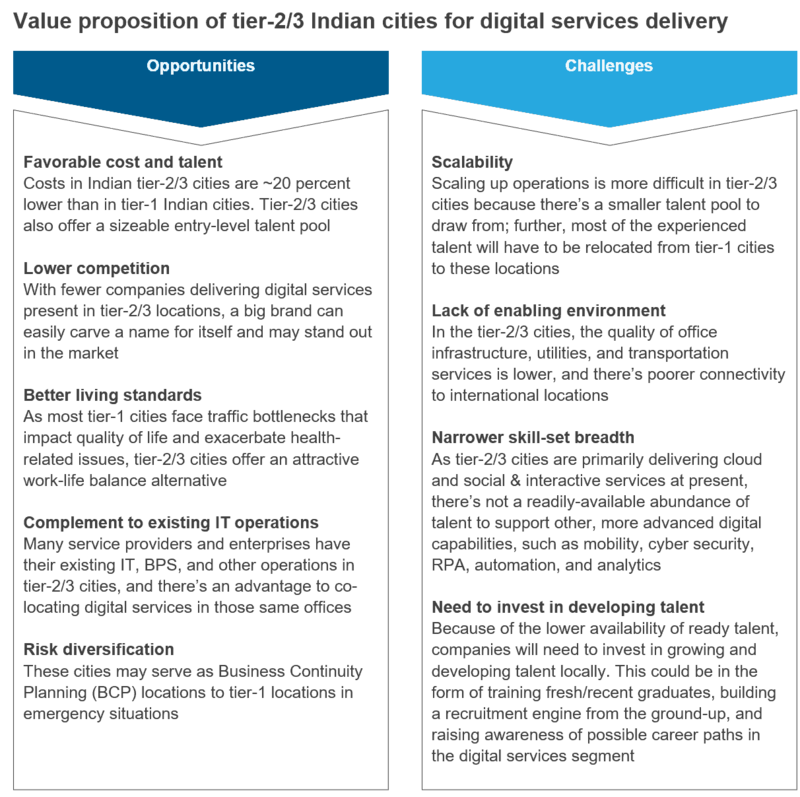 For what kinds of digital initiatives are enterprises leveraging the shared services / GIC model? How are shared services / Global In-house Centers (GICs), and corporate digital teams working together? What supporting programs should you implement to develop and retain top digital talent? How much are organizations investing in digital initiatives, and are they satisfied with their investments? Businesses around the globe are exploring and adopting digital services at a record pace, driven by changing consumer demands, emerging disruptive technologies, evolving regulations, and increasing cost/margin pressures. Many organizations are finding that their shared services centers / GICs are ideally positioned to orchestrate their digital services management and development, enabling tight integration between the delivery center(s) and the core business while also ensuring optimal growth. This webinar will offer real-world insights into how organizations can effectively leverage their delivery centers for digital enablement. The content is geared to senior enterprise executives – CIOs, CTOs, Chief Digital Officers, Heads of the Global In-house Center (GIC) / Shared Services Center (SSC) / Global Business Service (GBS), Senior Strategy Executives, and Global Sourcing Managers. With digital transformation all but mandatory across industries today, that innovation imperative is impacting every part of IT, including its outsourcing engagements. However, many CIOs are struggling to integrate third-party IT services deals into their long-term business strategies. Indeed, a recent Everest Group survey found that 61 percent of enterprises pursuing digital transformation were dissatisfied with their service providers. 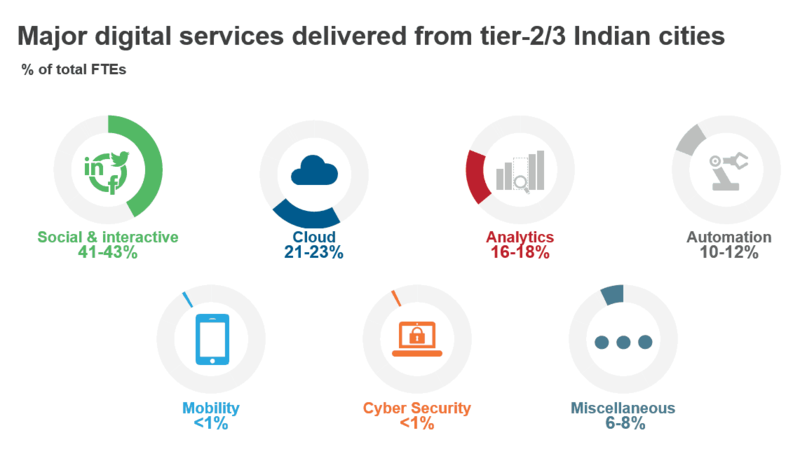 More than a quarter of revenues for the top 20 outsourcing providers are generated by digital services, according to Jimit Arora, partner in Everest Group’s IT Services practice, with those markets growing as the traditional services market is shrinking. New Everest Group report finds enterprises are adopting digital and seeing initial success, but struggles come in scaling and sustaining the transformation effort. As many as 78 percent of enterprises today fail to scale their digital transformation initiative and achieve the desired return on their digital investments. Despite increasing digital adoption by enterprises and reports of initial successes, enterprises are struggling to scale and sustain their transformation efforts. According to Everest Group, a misalignment between an enterprise’s digital strategy and its “old school” operating model is often to blame. 73 percent of enterprises failed to realize sustained returns on their digital investments. 69 percent of enterprises consider organization structure as a barrier while scaling up their digital initiatives. A complex organizational structure reduces transparency and creates silos, making it difficult for organizations to sustain their digital initiatives. 82 percent of enterprises do not have a culture of collaboration and innovation. Lack of 360-degree communication channels and innovation culture leads to poor adoption of any change as the organization battles fear of uncertainty. 87 percent fail to implement their change management plan for digital transformation. 89 percent have a narrow scope of technology investments limited to particular products or functions. This impedes the organization-wide, long-term view required for digital transformation. F: Fluid organizational structure—the enterprise should aim to create a self-organizing, ownership-driven and skill-centric organizational structure. E: Experience-centric focus—the enterprise must move beyond siloed technology investments and identify areas across the value chain where end-to-end digital transformation efforts are required. The report also describes in detail an approach and roadmap enterprises may use to transition to a digital operation model.